This entry was posted in Blogs, Bright Color, Color, Color Trend, Design, Design Works International, Fusion, Global, Global Prints, graphic print trend, graphic prints, HGTV, HGTVHome, Home, inspiration, Interior Design, Kitchen, Nancy Fire, pattern, print, print & pattern, Product Design, Surface design, surface designer, Textiles, Tile Trend, Trend Blogs, Trend prediction, Trending, Trends, wallpaper and tagged Bathroom, Design, Design Works International, HGTV, HGTVHome, Home, Interior Design, kitchen tiles, Nancy Fire, pillows, Product Design, Repetitive, Retail, soft color, Textiles, tile trend, tiles, Trend Blogs, Trend prediction, Trending, Trends by Design Works International. Bookmark the permalink. 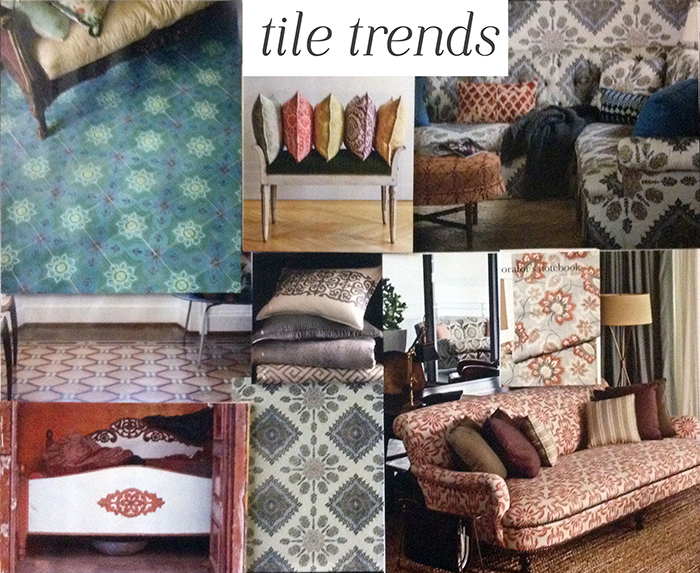 We are tile crazy this season….